With 101 ways to make life better, Subaru Impreza 2.0i is big on the small details. Big on standard features, but small enough for sneaky city parking. Big on personality and small on missed opportunities. 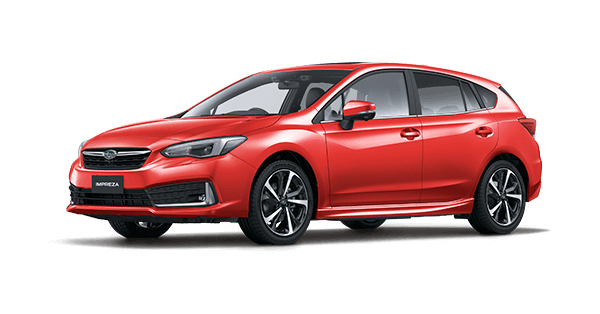 With Subaru’s legendary Symmetrical All-Wheel Drive handling and Boxer engine performance, Impreza 2.0i is larger than life. Innovation is delivered in spades with Auto Stop Start, USB connection, climate control air conditioning, an intuitive 6.5" touchscreen infotainment system and Bluetooth®1 wireless technology. Add 17" alloy wheels, power mirrors, power steering, a rear view reverse camera and you get the picture. 1. Bluetooth® is a registered trademark of Bluetooth SIG Inc. System operation ability is subject to Bluetooth® wireless technology specification of individual device. For even more of the fun stuff, step into a Subaru Impreza 2.0i-L or 2.0i Premium. The more polished interior is pure premium, with leather1 steering wheel and gear shift. Pump up the volume with the 8" LCD touchscreen infotainment system and get all the info you need via a 6.3" Multi-Function Display screen, a Tyre Pressure Monitoring System, and on the 2.0i Premium, satellite navigation. Enjoy the added safety and control of the EyeSight® Driver Assist system. EyeSight® features advanced preventative safety technologies, including Pre-Collision Brake Assist and Lane Keep Assist to help avoid accidents. Pure genius. 1. Some parts of the seating or trim are not full natural leather. Want next level luxury? Drool over the Subaru Impreza 2.0i-S line up. Life just gets better with sleek leather1 seats, an 8-way power driver's seat, sports pedals and 18" alloy wheels. It’s got all the gear to take life head on with rain-sensing front windscreen wipers – plus self-levelling, dusk-sensing Steering Responsive Headlights. And say goodbye to life’s curve balls and blind spots with Vision Assist technologies including our new Reverse Automatic Braking. Greater balance and control. That’s the confidence you get from our unique Symmetrical All-Wheel Drive System, which delivers the drive distribution to all four wheels, all the time. Every Subaru Impreza has an innate sense of balance from the ground up, thanks to a near perfect symmetrical layout. Every Subaru is fitted with advanced engine immobilisers and the DataDotDNA®1 Theft Deterrent System. Microscopic dots are laser-etched with each vehicle’s unique Vehicle Identification Number – making it a less attractive target for thieves. DataDot Technology (Australia) Pty Ltd will pay your theft insurance excess2 (up to a maximum of $800 including GST) should your new Subaru be stolen and not recovered within 45 days despite the presence of DataDotDNA®1 and warning labels. 5 star ANCAP safety across the range With spirit, quality and imagination comes some serious safety innovation. We want every Subaru to be amongst the safest cars on the road. Engineered full of cutting-edge technologies and the most intelligent design features. It’s not a Subaru unless it carries the maximum 5 star ANCAP3 safety rating. 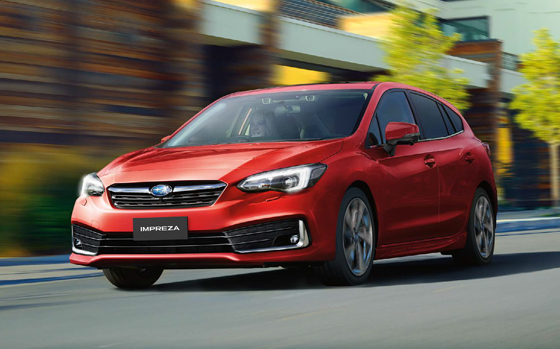 Built on the new Subaru Global Platform, Impreza is a new-generation small car which sets the benchmark. Revolutionary Subaru engineering underpins the superior modular platform for enhanced performance, safety and drivability. Innovative to the core, the game changing frame delivers reduced vibration, less roll when cornering, a smoother ride and improved overall road dynamics. The result? A drive that’s damn near perfect and super smooth – with greater straight line stability, improved rigidity, more responsive steering control and a quieter cabin. Manoeuvring back into a tight side street? Family driveway littered with toys? Reverse with confidence, thanks to our rear view reverse camera technology. The rear view reverse camera is like having eyes in the back of your head. This greatly improves your visibility and and helps reduce the risk of bumps and scrapes. Rear view reverse camera comes standard across the Impreza range. 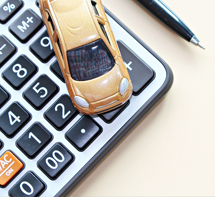 We’re constantly thinking of ways to help the environment and become more fuel-efficient. That’s why we developed Auto Stop Start technology. It saves fuel by immediately cutting the engine when you don’t need it, like when you’re idling or stopped in heavy traffic. The moment you’re ready to move again, the engine restarts in a fraction of a second. 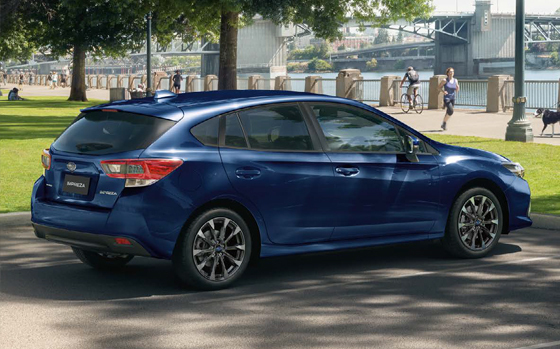 Our Auto Stop Start technology is standard across the Impreza range. Pushing innovation beyond the bounds, we introduced an automatic transmission called Lineartronic™ CVT. And it’s the reason our automatic models drive so smooth. It’s the world’s first longitudinally mounted system for AWD vehicles. Unlike a conventional automatic transmission – which uses fixed gear ratios – our Lineartronic™ CVT provides infinite variability between the highest and lowest available ratios. 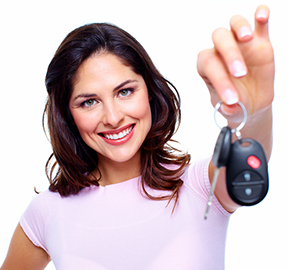 So you now experience a smoothness that also optimises the efficiency of the vehicle. For even more excitement, switch to manual mode for greater control to suit your driving style. Lineatronic™ CVT is standard across the Impreza range. We were the first car company to exclusively use stereo camera technology to detect objects in our vehicles path. A sign of our future-thinking and our commitment to quality, technology and safety, EyeSight® Driver Assist is like your second pair of eyes, spotting potentially dangerous situations. If EyeSight® detects anything that might be of danger, it warns you audibly, urging you to take action and brake. And it automatically applies the brakes if you don’t. 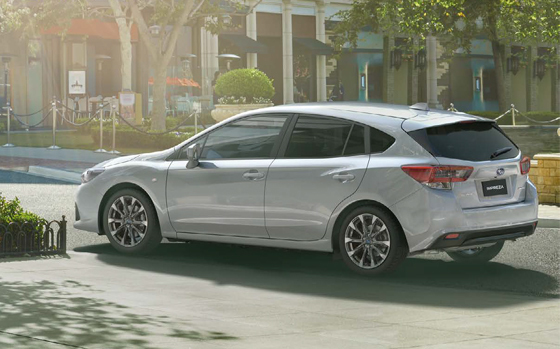 EyeSight® Driver Assist is standard on Impreza 2.0i-L, 2.0i Premium and 2.0i-S variants. Imagine if your wing mirrors could alert you when there’s something in your blind spot. Or if your car could detect the possibility of a collision whilst in reverse, and automatically apply the brakes. We made all this happen – and more – with Subaru’s Vision Assist. Our suite of proactive safety technologies including Blind Spot Monitor, Lane Change Assist, Rear Cross Traffic Alert and Reverse Automatic Braking are always at work to help you feel safer on the road. Subaru’s Vision Assist technologies are standard on the Subaru Impreza 2.0i-S.
It’s time to play – so get connected. Infotainment lets you enjoy more of the good stuff via the the 6.5" or 8" touchscreen, with Apple CarPlay™ and Android AutoTM connectivity1 at your fingertips. The smarts continue with satellite navigation on 2.0i Premium and 2.0i-S variants. 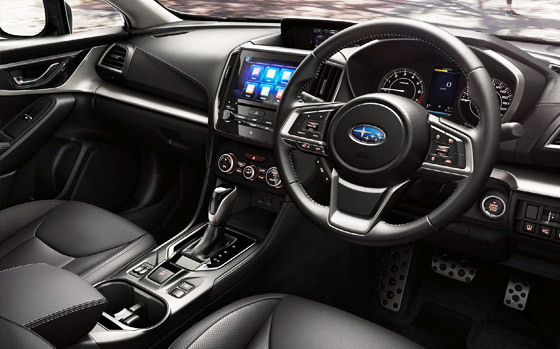 Flick Impreza into cruising mode with the convenient steering wheel controls for a range of functions including audio, Bluetooth®2 and the MFD unit. Or get real and go handsfree with voice command Bluetooth®2 technology for audio streaming and mobile calls. Plug into a better life with two handy USB charge ports and you’re all sorted. 1. Compatible Apple or Android device required. 2. 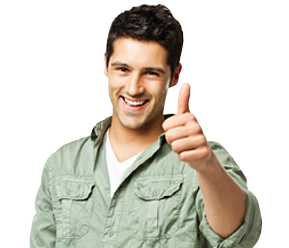 Bluetooth® is a registered trademark of Bluetooth SIG Inc. System operation ability is subject to Bluetooth® wireless technology specification of individual device.